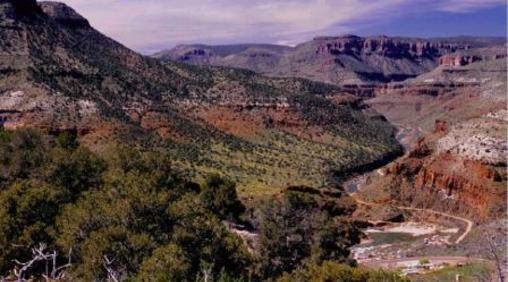 The Salt River Canyon no longer offers a self serve permit station in the canyon. All permits for the area must be purchased at one of our dealers or online. 2019 Fish Camp is set for May 1st through May 12th, 2019! This program is an exclusive fully outfitted fishermans dream. Camp is held before the lake is offically opened to the public each year. 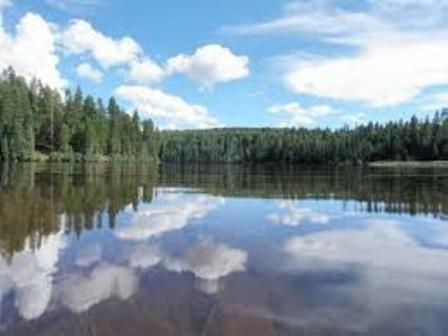 Christmas Tree Lake is managed for Trophy Apache Trout found ONLY in Arizona's White Mountains. The White Mounain Apache tribal lands are home to the most majestic forests in the state of Arizona. We're also home of some of the largest trophy elk in the world. Come and visit, and see for yourself! High in the White Mountains, our fishing is great year-round. Trout fishing lasts longer in our cool mountain air, and in the winter we have the best ice fishing in the state. No matter what time of year it is, the White Mountain Apache Tribe has fishing that you and your children will remember for a lifetime. 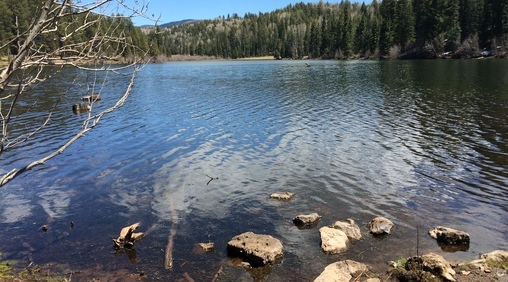 Hunting, fishing, camping, rafting, skiing, and hiking: no matter what you're coming to the White Mountain Apache Tribe for, you will enjoy a beauty that can't be found anywhere else on earth. We welcome you! if you are planning to visit our beautiful Salt River Canyon, here are some important guidelines that our important guest need to know. The White Mountain Apache Tribe is known for its world class hunting, excellent fishing, quiet camping, and amazing hikes. 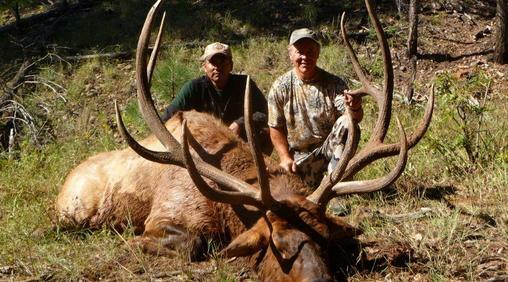 Our home is one of the best places in the world for Trophy Elk hunting, drawing in hunters from all over the world, to get a chance at a world class Trophy Bull Elk. Looking for more fun and excitement? Hon-Dah Casino has the answer, and is located high up in the pines. With a fully functional Hotel and Conference Center, along with an arcade and a year round swimming pool, it is a great place to start. Then off to Sunrise Park Ski Resort, which turns into a powdery paradise in the winter. 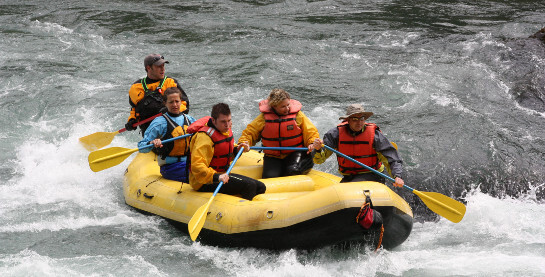 During the summer, Sunrise is a dream to escape to, with scenic lift rides, a fourth of July fireworks celebration, an awesome Archery shootout and great fishing at Sunrise Lake, or one of the many other Lakes or well stocked streams. Here, on the White Mountain Apache Reservation, we are proud to produce the Apache Trout, a species found nowhere else in the world. Want to get a taste of the local life? Visit the tourism site to see a list of ceremonial dances, during which visitors must abide by a visitors code of conduct. Then there is the annual Hon-Dah Pow Wow, and the Annual WMAT Fair & Rodeo. Our home is very unique. It starts at about 2,600ft above sea level on our southwest side, and ranges all the way up to 11,400ft on the peak of Mt. Baldy on our eastern border, our most sacred mountain, providing year round recreation activities. Here on the White Mountain Apache Reservation we enjoy all four seasons. Want to learn more? Come visit us at the historical Fort Apache, where the famous Apache Scouts were once posted. Also stop by our Culture Center & Museum, and take a look at Apache life. Theodore Roosevelt boarding school resides there and is still in operation today.